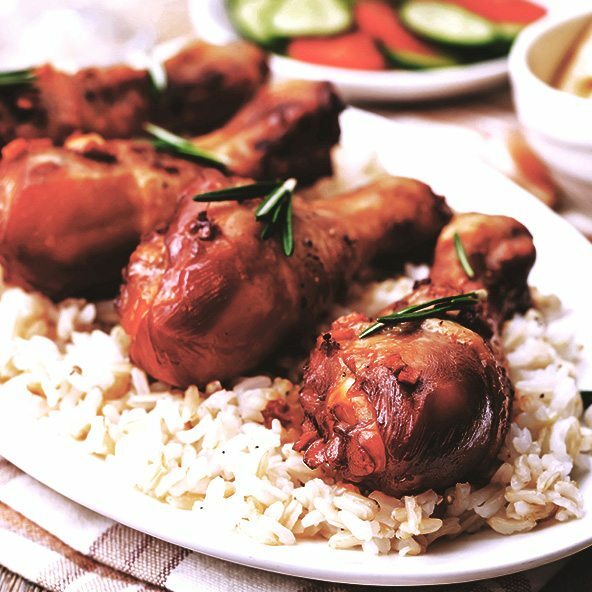 Drumsticks make great party food, compared to wings they have more meat, much less fat and are half the cost. Since Island Farmhouse Chicken is European Style air-chilled, which means no added water or bleach, the skin gets nice and crisp when cooked. Cook garlic in butter over medium heat, careful not to brown the garlic, remove from stove and add honey, return to stove on low heat until honey is heated through. In a large bowl toss cooked hot sticks in honey sauce until well coated. Transfer to warm serving dish and drizzle with any left over sauce. Season drumsticks with salt and pepper and place in hot oven, 450F for 10 min then reduce heat to 350 until cooked through. Toss in sauce while still hot.